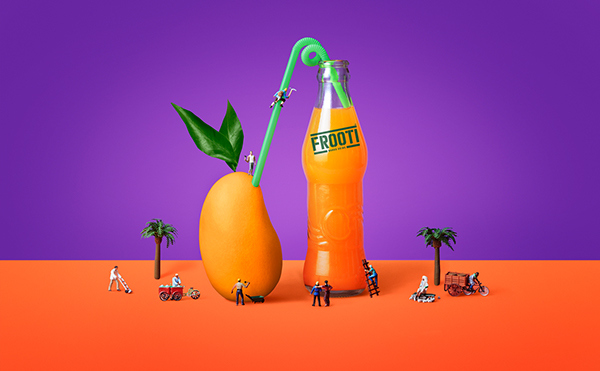 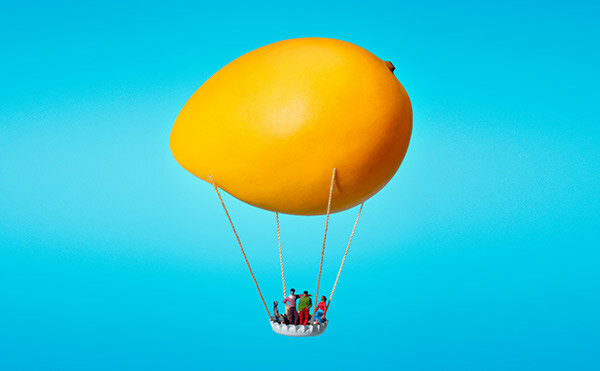 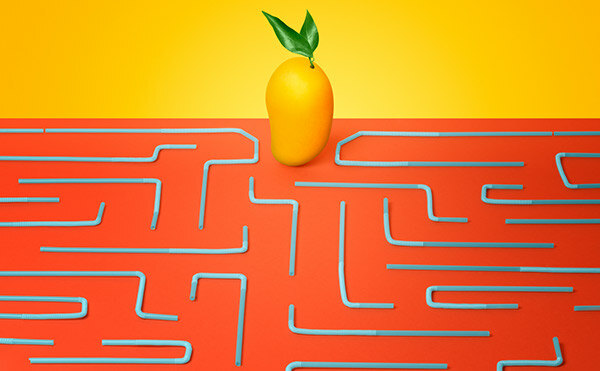 Frooti is one of India's oldest and most loved mango juice brands. 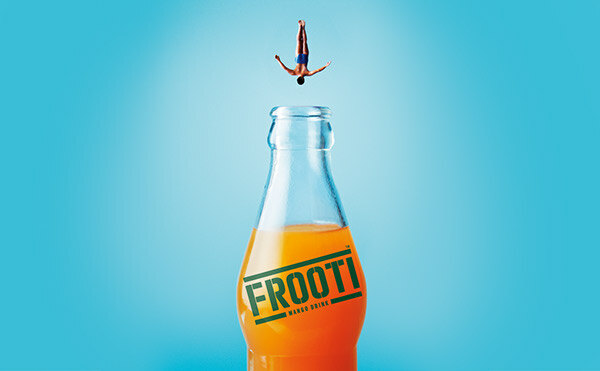 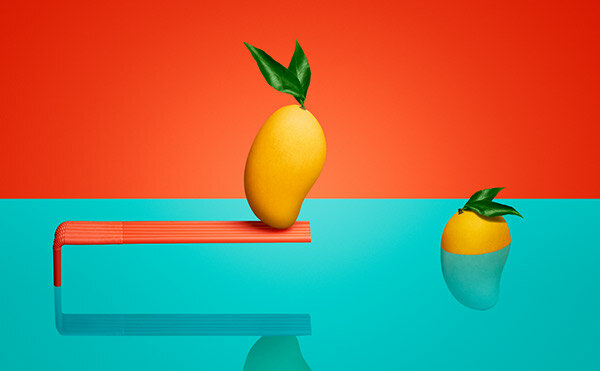 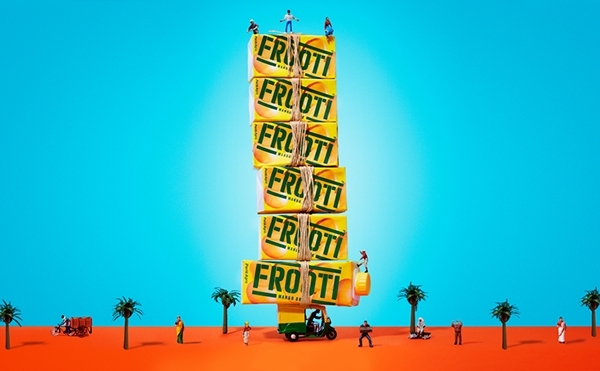 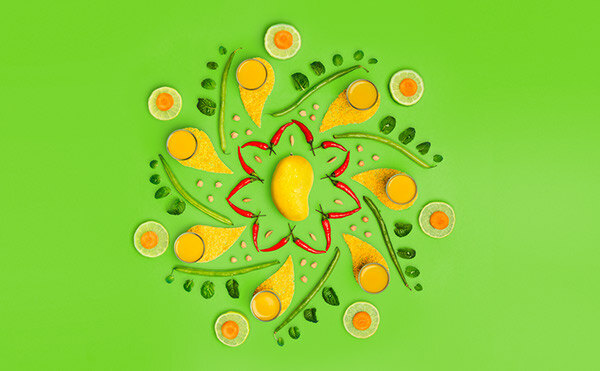 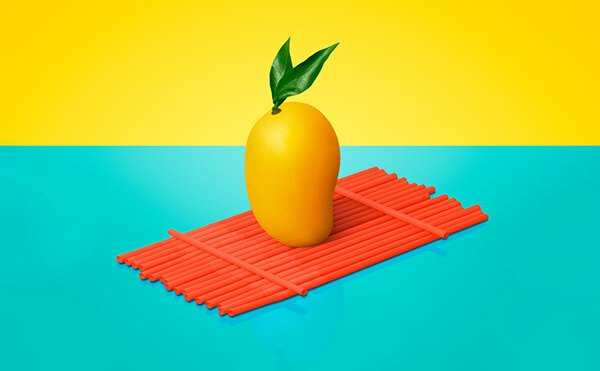 For the first time in 30 years they were ready to unveil a new logo (Pentagram) and Frooti asked our team at Sagmeister & Walsh to design a visual language, concepts and strategy for a brand launch campaign across print, social, web, games, and a television commercial. 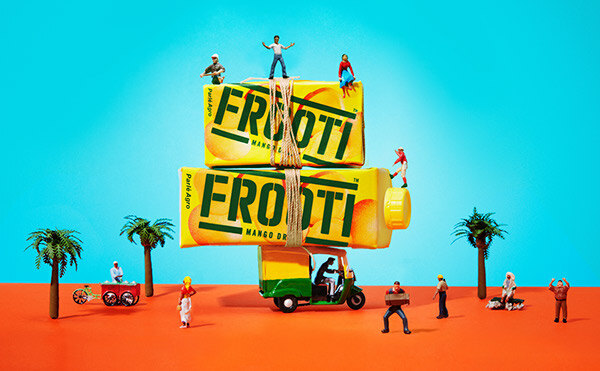 The goal was to introduce the new packaging in a fresh, bold, and playful way. 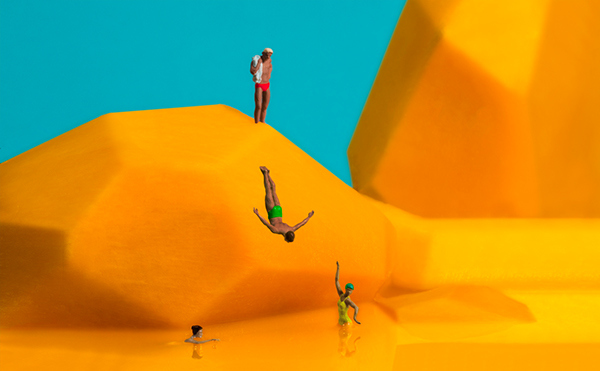 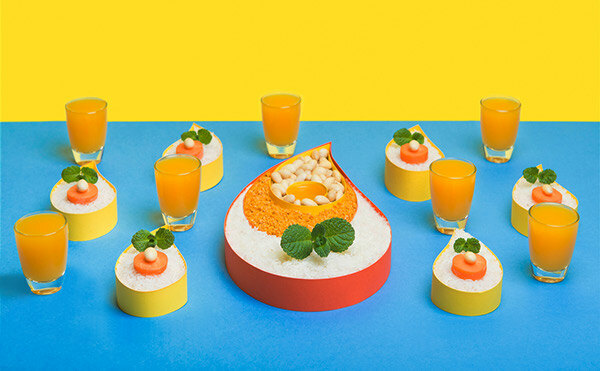 The idea we came up with is to create a miniature world using tiny scaled models of vehicles, people and plant life. 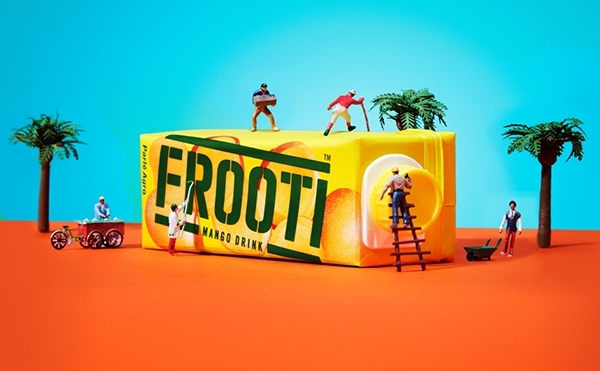 Only the Frooti packaging and mangos were kept in real life scale. 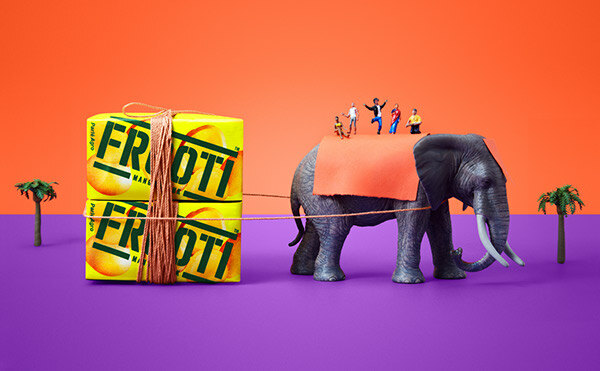 This allowed the packaging and the mango to appear as the hero of the shots while allowing us to tell stories and add moments of humor. 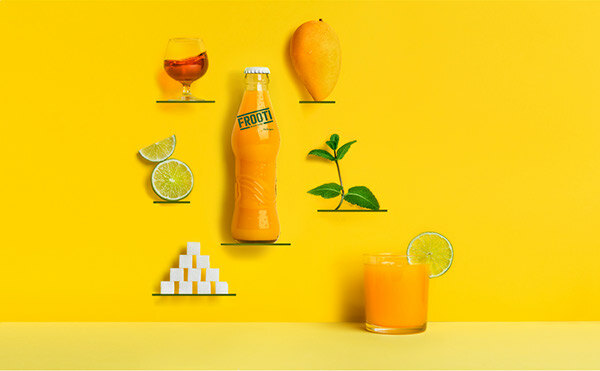 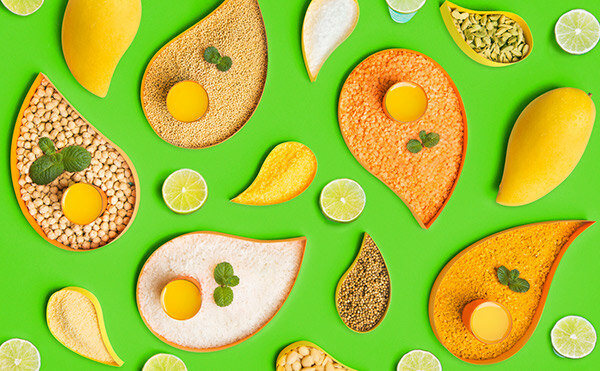 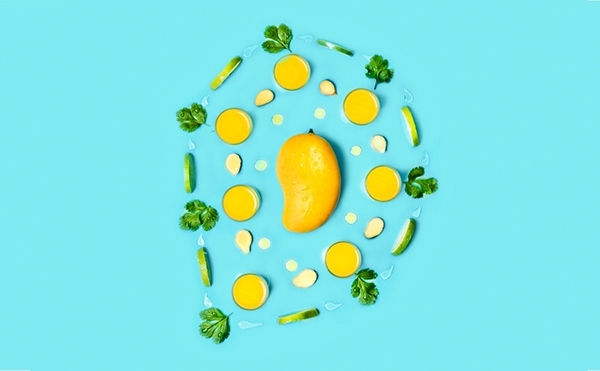 We introduced four bold colors to the brand which complement the yellow of Indian mango and add a sense of playfulness across the imagery. 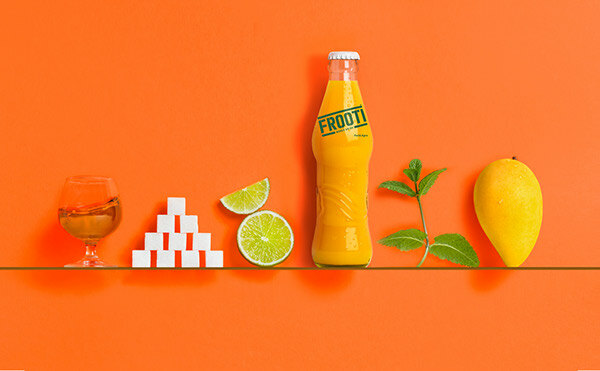 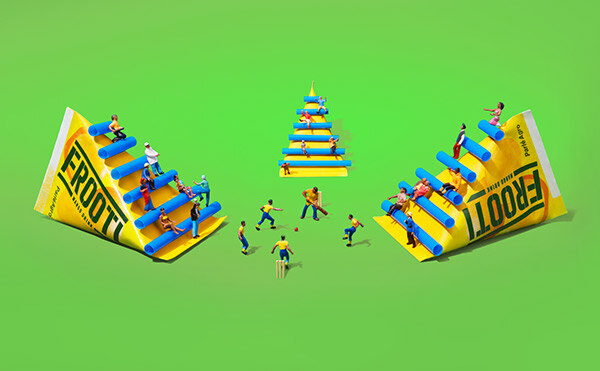 We also conceptualized & designed brand extensions such as a Frooti recipe website, microsite, a social media strategy, Frooti games, and more. 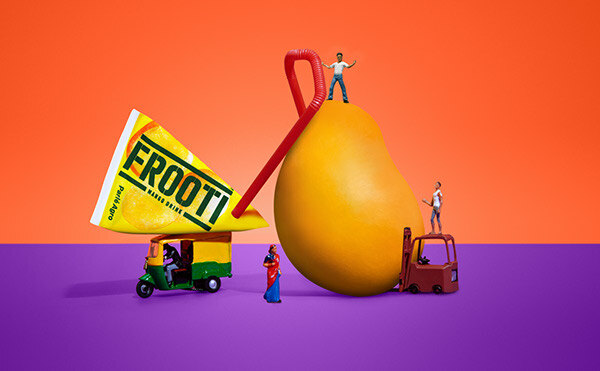 Frooti is one of India's oldest and most loved mango juice brands. 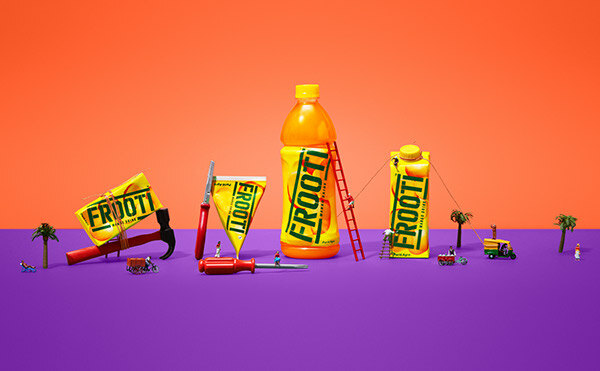 For the first time in 30 years they were ready to unveil a new logo (Pentagram) and Frooti asked our team at Sagmeister & Walsh to design a visual language, concepts and strategy for a brand launch campaign across print, social, web, games, and a television commercial. 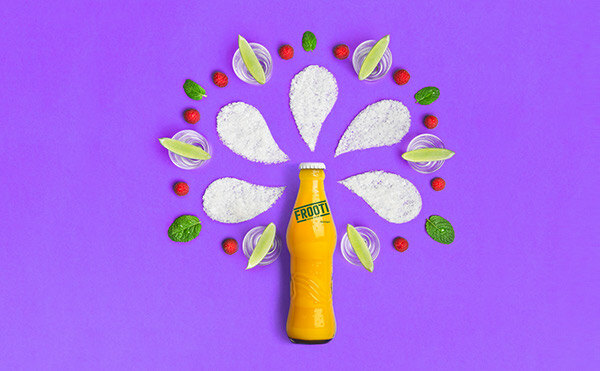 The goal was to introduce the new packaging in a fresh, bold, and playful way. 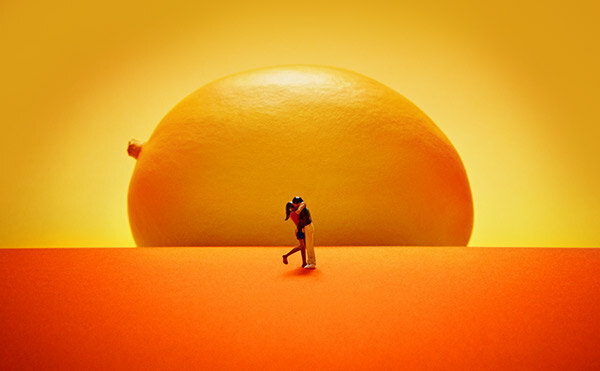 The idea we came up with is to create a miniature world using tiny scaled models of vehicles, people and plant life. 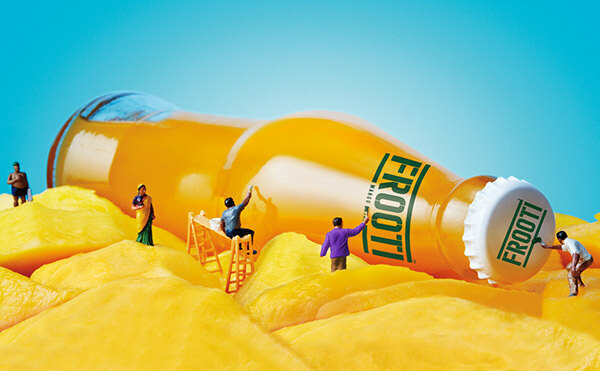 Only the Frooti packaging and mangos were kept in real life scale. 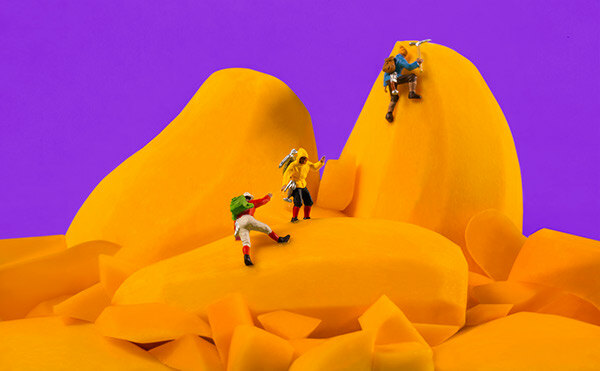 This allowed the packaging and the mango to appear as the hero of the shots while allowing us to tell stories and add moments of humor. 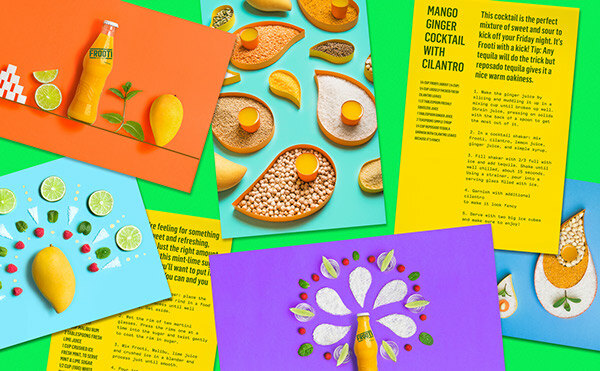 We introduced four bold colors to the brand which complement the yellow of Indian mango and add a sense of playfulness across the imagery. 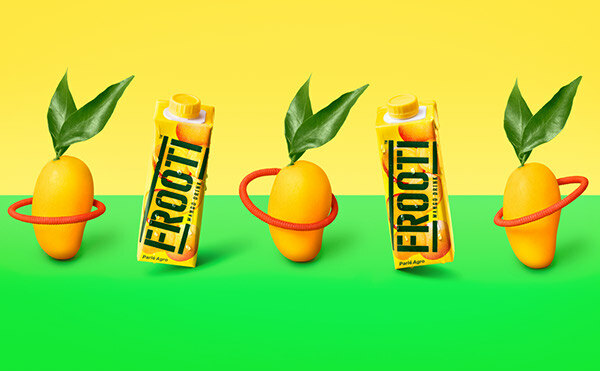 We also conceptualized & designed brand extensions such as a Frooti recipe website, microsite, a social media strategy, Frooti games, and more.